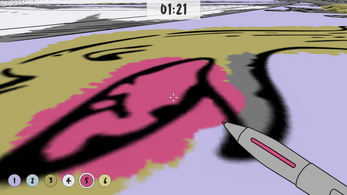 PEN GUNS is a first person coloring book. 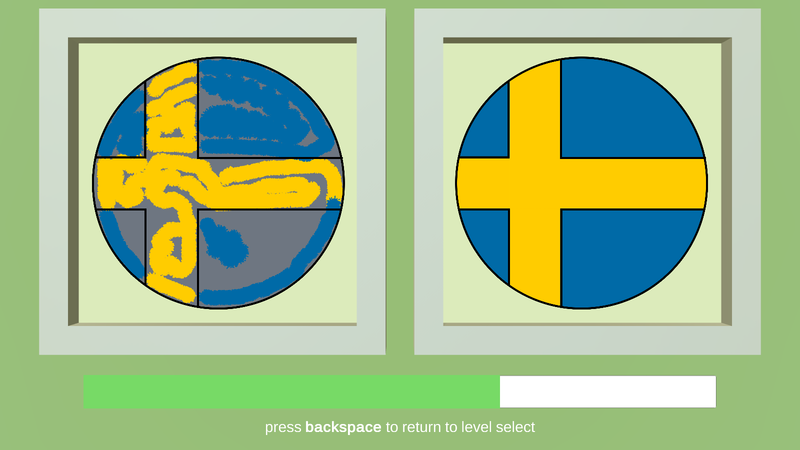 Choose from 4 available paintings and do your best to fill it with proper colors before the time limit is up! The jam theme was supposed to be "penguins", but due to a misspelling it ended up as "pen guns", and here we are. Hope you enjoy it! Controls: WSAD/ARROWS - move, LEFT MOUSE - paint, RIGHT MOUSE - focus, LEFT SHIFT - run, TAB - preview reference image. Made by Luke Spierewka during No More Sweden 2018. Music by Kevin MacLeod, SFX by rivernile7, images from pixabay.com and Wikipedia. Font: Cartoon Marker. 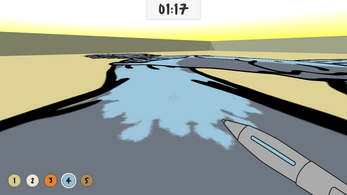 Plugins: InkPainter, First Person Drifter.